Protexting enabled State of the Valley participants to enter to win door prizes by texting in on their cell phones. Keywords were set up for each prize, in addition to custom message-flows to entrants. The campaign was set up so that it would be active on the day of the event. Each year, Camp Gladiator celebrates its anniversary by having a flash sale that requires communicating with its over 180,000 customers within a limited time frame. Camp Gladiator was able to send over 180,000 text messages in less than an hour. As a result, there was a 50% higher response rate than was expected. CraveOnline decided that the most ubiquitous and direct way to deliver the mobile coupons and the behind the scenes content would be the use of a mix of SMS and MMS messages in a short sequence drip campaign. 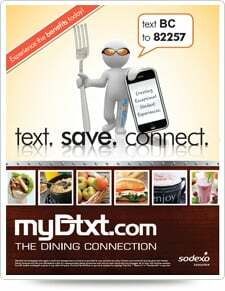 ProTexting’s team helped with the creation and execution of the mobile messaging portion of the campaign. The mobile marketing company was responsible for the customization of the end user experience and building out the messaging flow and logic. "Protexting provided prompt technical support at every step of our project. Starting with the preliminary stages of our collaboration. We are looking forward to more projects with Protexting and highly recommend Protexting to anyone looking for high-quality, professional business solutions." "The ProTexting team exceeded our expectations not only in providing an outstanding technology solution, but in adding creativity to our ideas in ways that made our event stand out from the others at SXSW. The ProTexting team worked tirelessly with us the night before and the entire day of the competition and impressed our panel of distinguished judges and pitch finalists. I look forward to working with them again!" Custom built systems based on the needs of the company. Customer collection data forms are customized to specifications. Automated student notification systems in place. Mobile surveys and other interactive tools added and adjusted according to company needs. The bulk of Cavender's sales come from their bricks and mortar stores, but their strong retail footprint has helped to expand their rapidly growing online business. Rather than using mobile marketing solely as a way to measure and quantify the effectiveness of traffic to the website or sales in their stores, we chose to use mobile marketing as a tool of engagement to strengthen our relationship with our loyal customers. The south Florida Group currently operates five of the nations top comedy venues. On any given week over thirty five shows are produced with a combined seating capacity of over sixteen thousand that need to be filled. Currently we employ multiple marketing strategies to maximize attendance traditional media such as print, radio and billboards, outbound marketing via telephone, email blasts, social media and text messaging. In these tough economic times we have seen a major downturn in customer attendance. We are trying everything we can to keep our current customers satisfied by offering discounts, specials, creative events and more. It's also been very challenging marketing in new and creative ways to reach new potential customers. So in order our biggest challenge has been: keeping regular customers coming back on a consistent basis and reaching new customers. The ProTexting.com mobile platform was used during the survey and voting process. The delegates discussed many Global issues, including the Economy, Health, Security, and Governance. Additional presentations and discussion covered topics such as Genocide in Africa and Nuclear Proliferation. After many hours of discussion and deliberation, delegates voted on issues and then ranked the top five. Among the top five issues, they voted to choose the number one issue that they will work on together to find a solution.